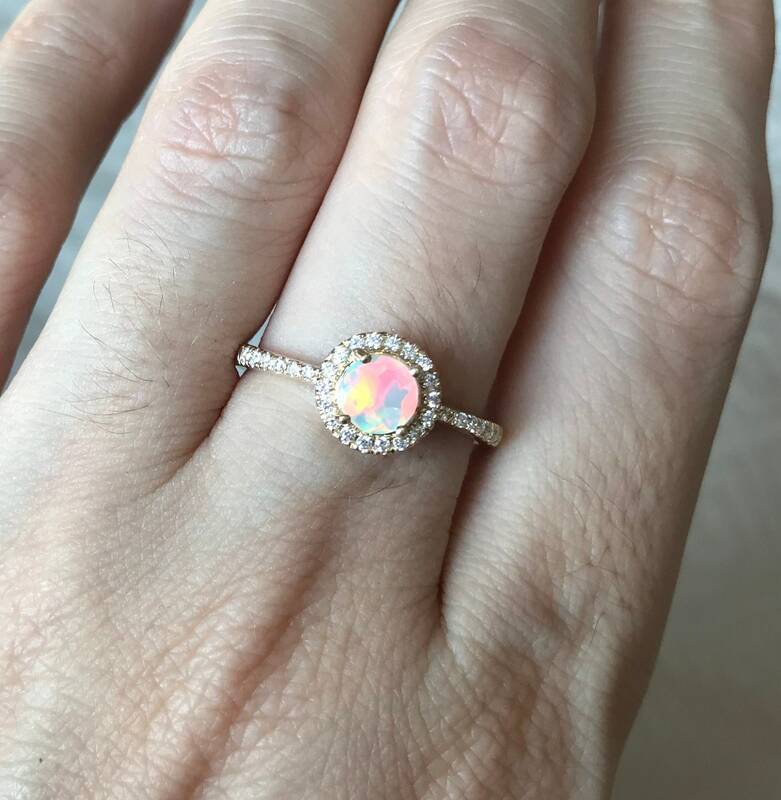 We use the finest top-notch genuine opal with maximum fire which will have you mesmerized! 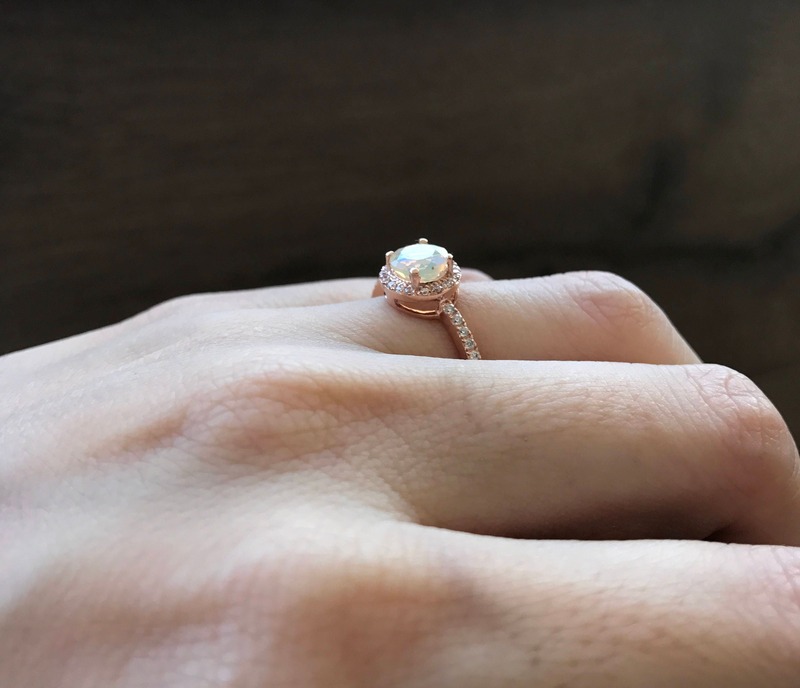 Also available in 10k/14k and 18k solid Rose Gold with cubic zirconia accent, which you don't need to worry about the plating wearing off as in Rose Plated Silver. 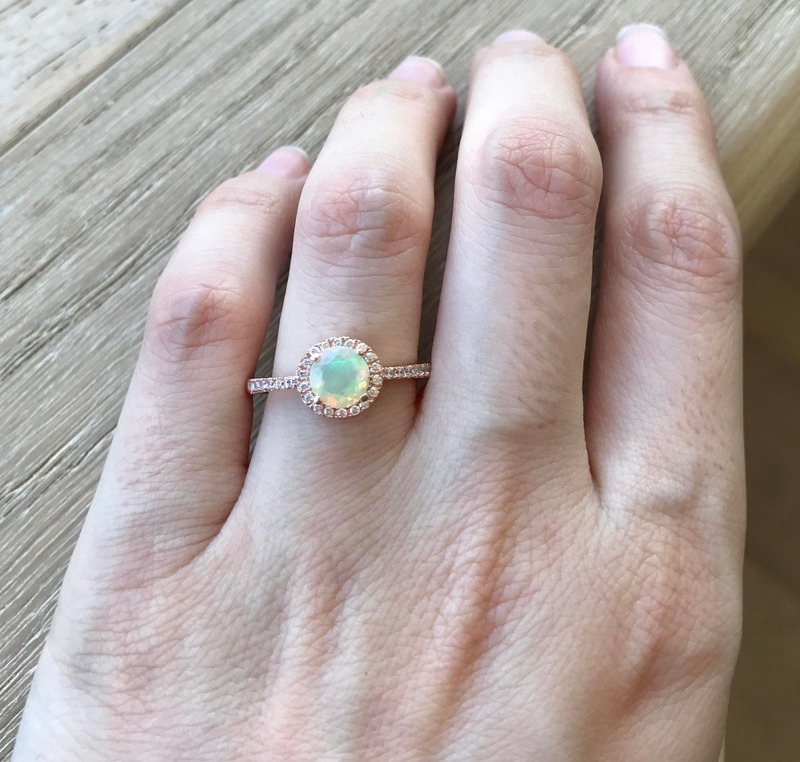 This ring makes a lovely engagement/promise/birthstone/anniversary ring. 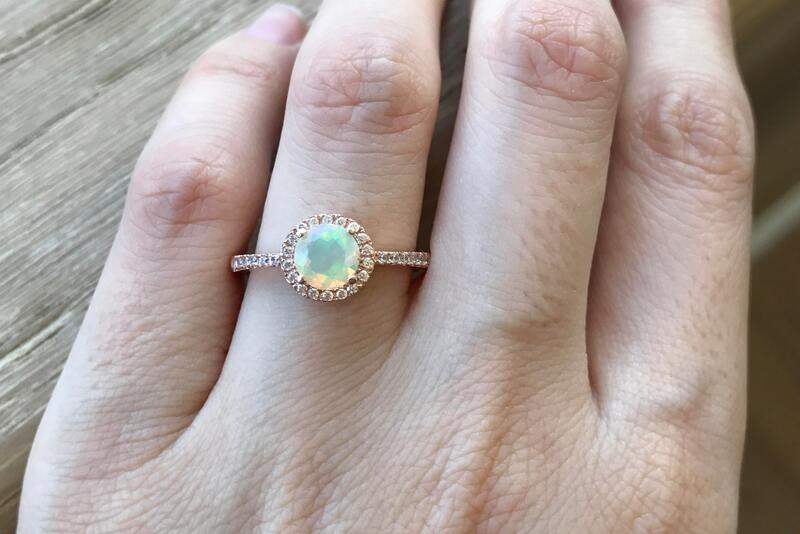 Opal is October birthstone. Wrapped in a Box ready for gift giving. 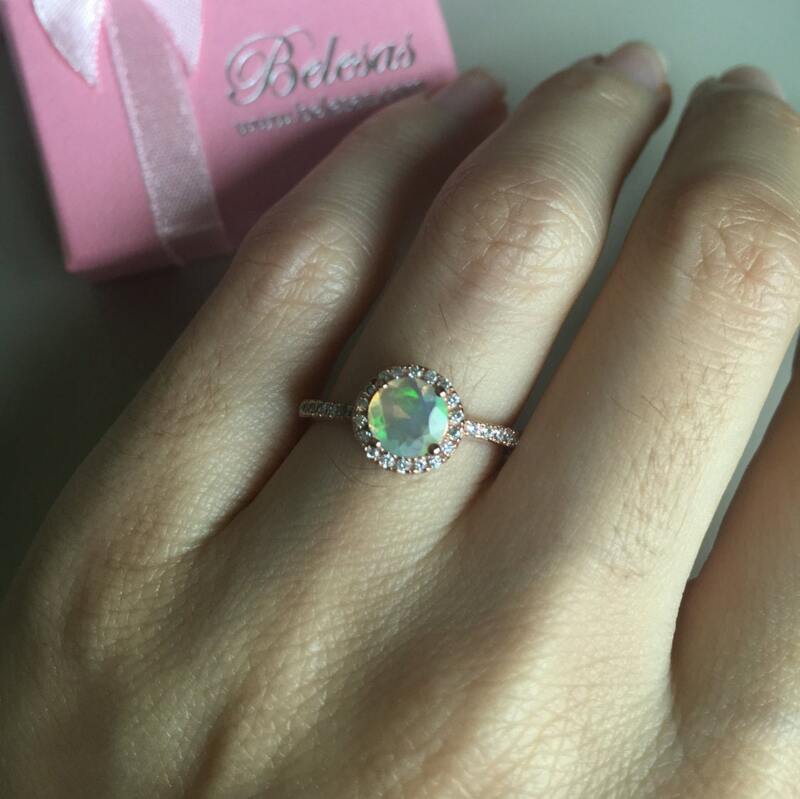 Opals are soft and fragile gemstones, great care must be taken to avoid damaging it. 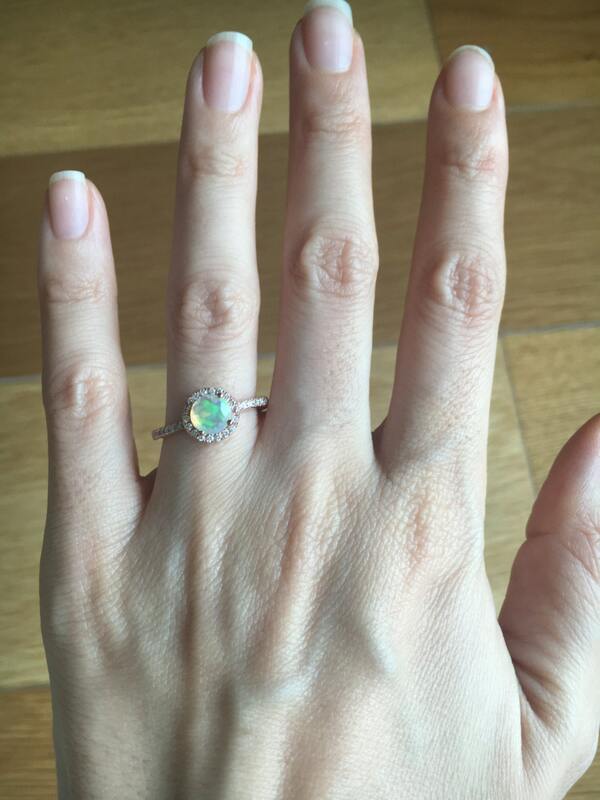 Please refrain from taking a shower/swimming/ or any water activities such as washing your hand with your opal ring. 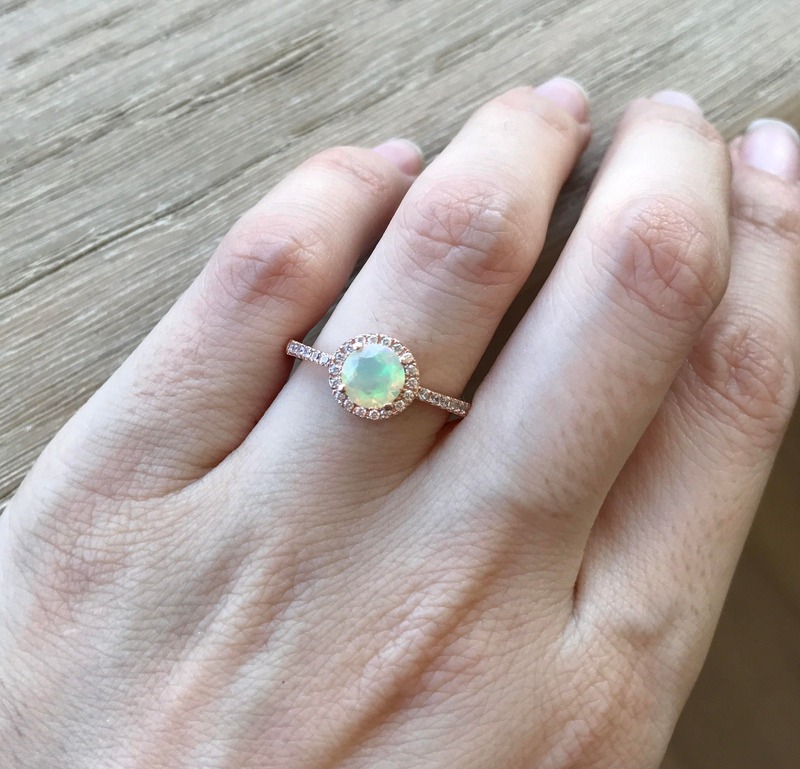 Avoid contacting your opal with chemicals, oils, perfumes as it will damage the opal since they will absorb any substance. -->Please note for Rose Plated Silver, we provide a careful instruction keep your rose plating long lasting. 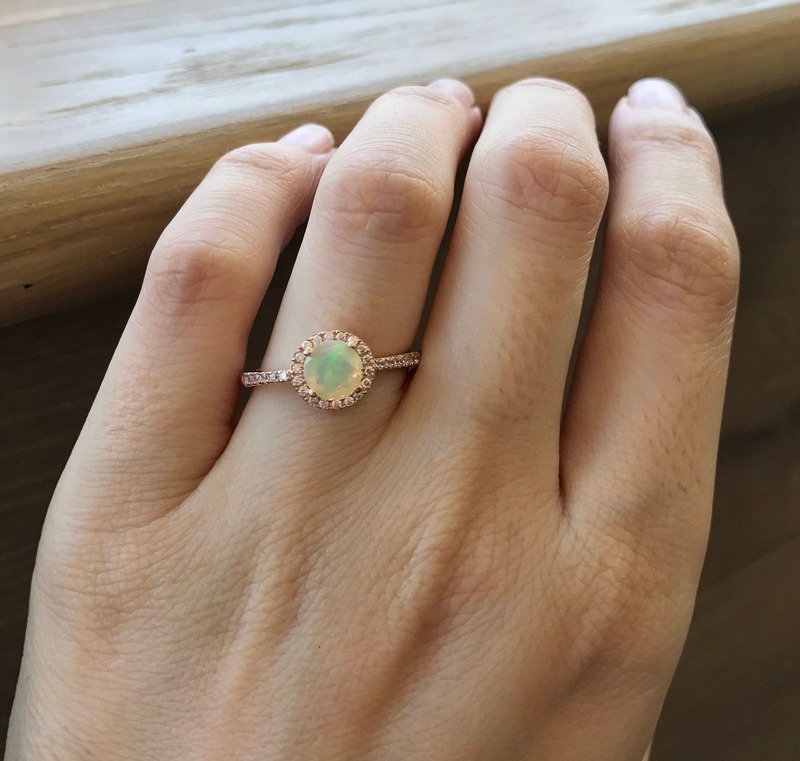 Absolutely in awe of this ring. I recieved the wrong one at first and was sent the correct one with priority shipping absolutely free. Thank you SO much for being so incredible and so good about responding quickly, even when you guys have an emergency! 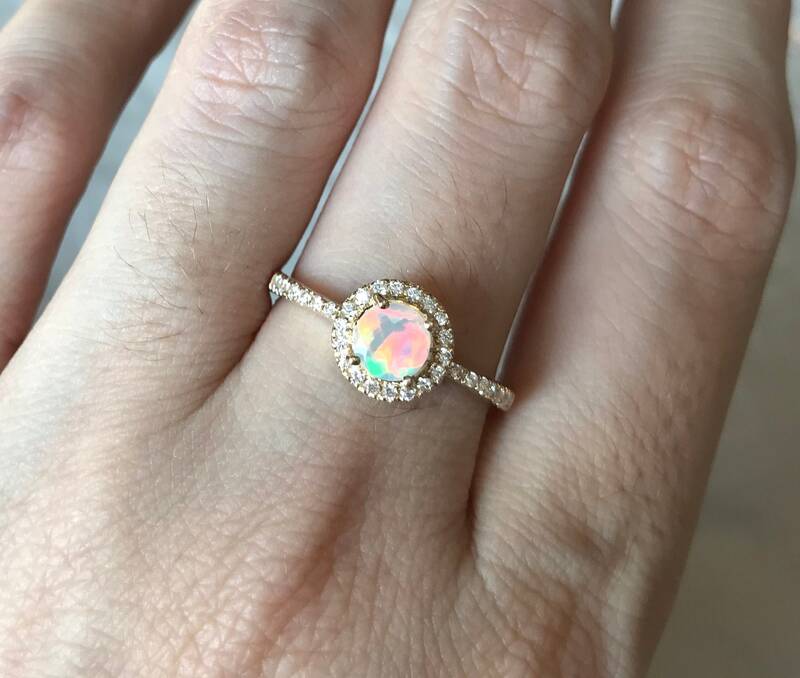 The ring is absolutely beautiful and the quality is incredible. 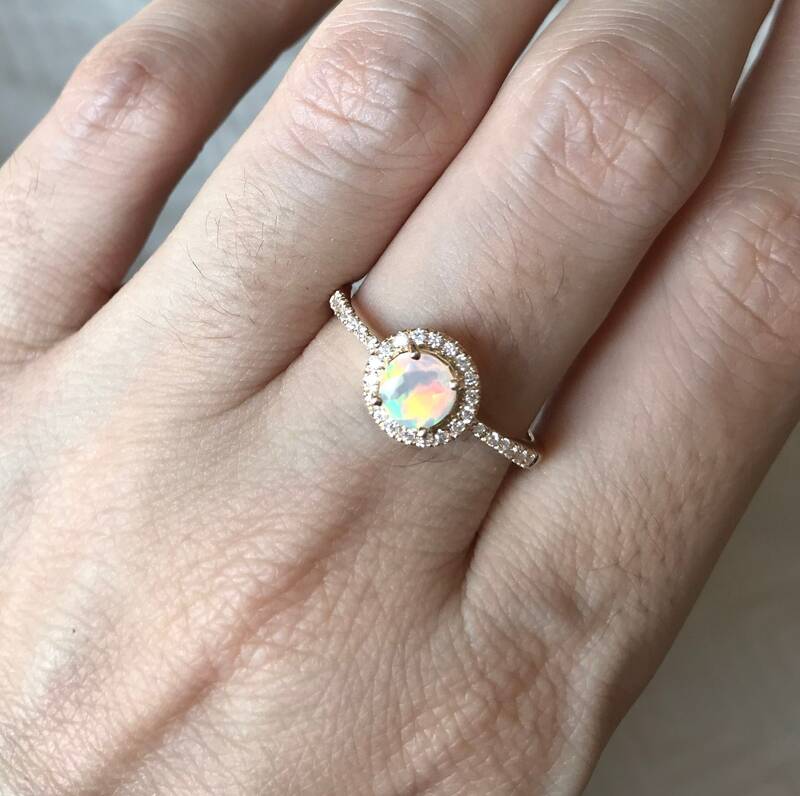 Elena was awesome with helping me get the opal color I wanted and patient with me and resizing the ring when I ordered it too big!